Creates and draws a map. 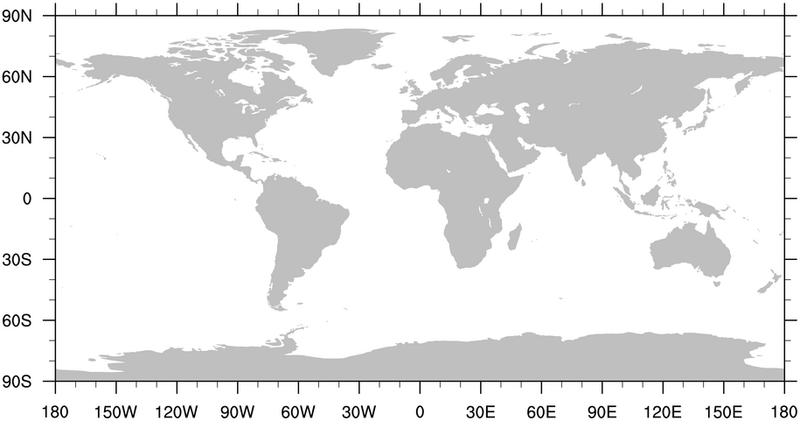 The map projection to use. A scalar id of the map plot created is returned. This is useful if you want to use setvalues to change some plot options after this function has been called. This function creates and draws a map plot on the given workstation. 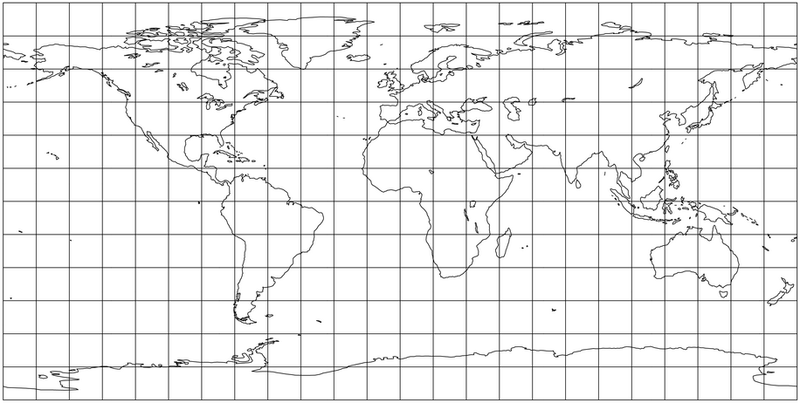 For a valid list of map projections, see the projections associated with the mpProjection resource. Important note: in NCL version 6.4.0, the mpDataBaseVersion resource was updated from having a default of "LowRes" to having a default value of "Dynamic". The "LowRes" database will still be the default, unless either of the boundary-set resources mpFillBoundarySets or mpOutlineBoundarySets are set to anything other than "Geophysical", in which case the "MediumRes" database will be used. See the map outlines page for example scripts. You should use gsn_csm_map if you want a more customized contour plot and/or if your data has coordinate arrays.